Catch our latest tips and insights to help you get high quality heating and cooling in South Florida for your home at affordable prices. 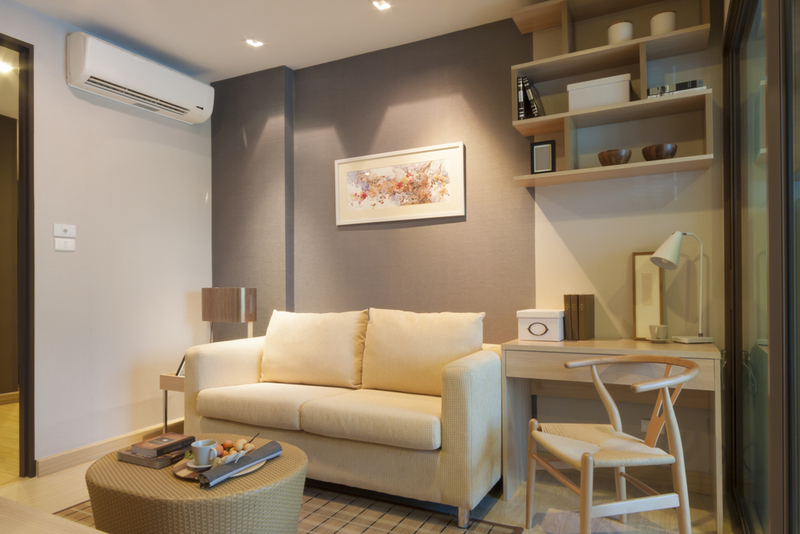 When installing air conditioning into a residential house or into small business offices there are a few things that should be looked into, we’ve stated here some of the top benefits you can take into consideration. Although air conditioning provides accurate temperature control it also has the ability to reduce the humidity within your building without over-cooling any room. 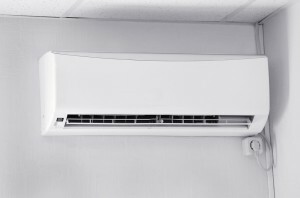 Today’s air conditioning systems allow you to set the perfect temperature for any room within the building meaning if you wanted your room to be fairly warm but the back room to be colder it can be set with ease. 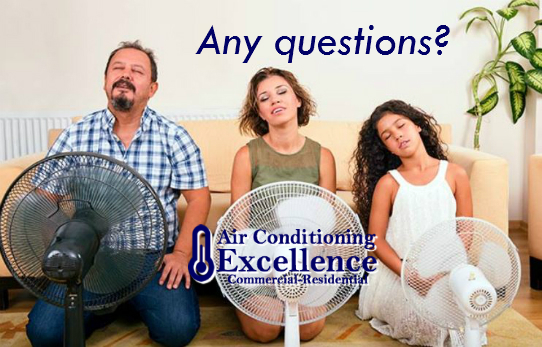 As air conditioning provides a constant level of temperature you’re guaranteed to have maximum comfort. With newer technology air conditioning systems have become even more advanced today, this newer technology has enabled air conditioning systems to work in harmony with silent surroundings. As air conditioning systems today are build for multi-purpose temperature settings this allows the air con to be able to be used for heating and cooling whilst running efficiently, in fact up to 80% more efficient! Residential air conditioning systems feature air purifying filtration systems which will help reduce dust, bacteria, fur, pollen and even mites meaning if you suffer from allergies then you wont have to worry any more! So here’s a selection of what we feel are brilliant benefits when looking to get air conditioning systems. Share the post "Full benefits of Air Conditioning"
An energy assessment is an inspection, survey and analysis of energy flows for energy conservation in a building aiming to reduce the amount of energy input into the system without negatively affecting the output. When the object of study is an occupied building then reducing energy consumption while maintaining or improving human comfort, health and safety are of primary concern. Beyond simply identifying the sources of energy use, an energy assessment aims to prioritize the energy uses according to the greatest to least cost effective opportunities for energy savings. 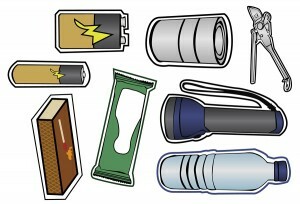 The term energy assessment is most commonly used to describe a broad spectrum of energy studies ranging from a quick walk-through of a facility to identify major problem areas to a comprehensive analysis of the implications of alternative energy efficiency measures sufficient to satisfy the financial criteria of sophisticated investors. Audit is required to identify the most efficient and cost-effective Energy Conservation Opportunities (ECOs) or Measures (ECMs). Share the post "What Energy Assessment mean to you"
Heat, ventilation and air conditioning system or HVAC system is something that almost every home in Florida has. This is a very complex system that has many components which allow the system to manage the temperature in any space. In order to understand how the HVAC system works and in order to fix some smaller issues it is crucial to learn more about the basic elements of an HVAC system. Of course, it is always a good idea to ask for help from a professional AC repair service whenever you experience problems with the HVAC. This element is the main element in the furnace unit. When the thermostat triggers the furnace, air is sucked in the heat exchanger from a special duct that extracts cold air from all the areas in your home. AC professionals call this procedure cold air return chase. Once the cold air gets inside the heat exchanger it is forced out and heated through the ducts and spread all over your home. The furnace is typically the biggest part of this system and requires special space in the home. In most cases this AC unit is installed in the closet or attic. This part is here to push cold or hot air in the ducts that work in each of the rooms in the home. Inside the ducts, we can find small vents that direct the warm and cold air and allow its circulation in the areas around the house and regulate the temperature there. This is one the only basic element of the HVAC system that is installed outside of the home. This where the refrigerant gas is cooled with the help of outside air and heat and the refrigerant is turned into liquid and directed through a solid metal tube which is linked to the coil used for evaporation. After that, the liquid is returned to a gas condition and the system drives the heat in which leads to rapid decrease in temperature. The same process takes place when we want to create cool airflow. This is a complex procedure and even a slightest problem can result in malfunctioning. If something like this happens call AC specialists. These coils are placed in a metal enclosure located above the furnace. These coils work when you need cool air. So, the evaporator coil is here to provide cold airflow which is drawn with the help of a furnace blower and redirected to the ducts and eventually out of the vents. You can easily locate the thermostat because it usually leads to the furnace. It comes with user controls and sophisticated technology. In most cases the thermostat is positioned in a place where we can check and adjust the temperature easily. Thermostats are very easy to use and even your children can set the thermostat to a desired temperature. 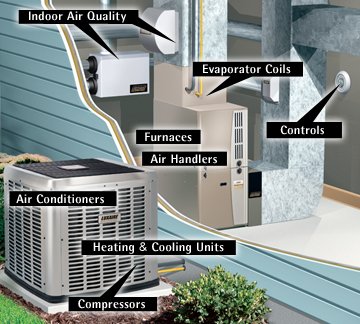 Remember that these are not the only HVAC system elements, but they are surely the most important ones. Share the post "What are the basic elements of an HVAC system?" Living in South Florida is fantastic—we love it, and that’s why we’ve chosen to live and work here for decades. But, of course, the beauty of our beloved state is balanced by the pervading threat of huricanes and tropical storms. Learning to properly prepare for a hurricane is an absolute must. 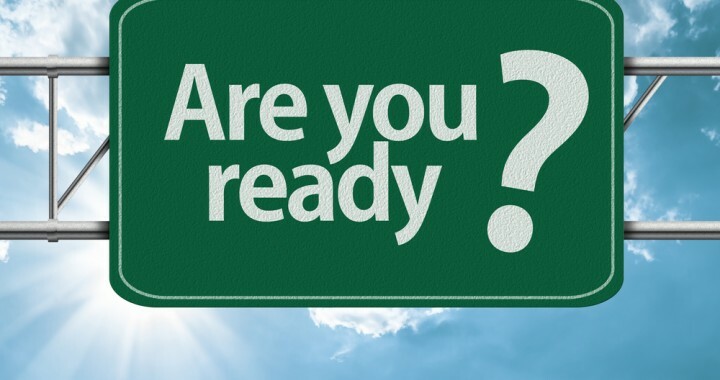 Hurricane and storm preparation is most effective when done year-round. Purchasing supplies and tools for surviving in a high category hurricane requires significant investment, so it’s best to space out your purchases over time. Additionally, there are the processes of developing emergency, evacuation, prep, and contingency plans. These should be written out, memorized, and even rehearsed with your family. The last thing you want is to create an emergency plan when the eye of the storm is upon you! But if the warnings are out and you’re short on time before the storm strikes, it’s useful to have a tangible list of items that require your immediate attention. Follow this guide to know how to prepare for a hurricane in the 24 hours before it arrives. If you meet the criteria for evacuation, do it–trying to protect your property isn’t worth putting you and your family in harm’s way. You have two choices when you know a hurricane is approaching, you can stay or you can leave. There are lots of reasons why people choose to remain at home when aware of the dangers. Often, this involves financial considerations; many lack the money to travel to safe zones and pay for food and lodging out of town. There’s also the desire to protect one’s property, be it from the effects of the storm or from looters. 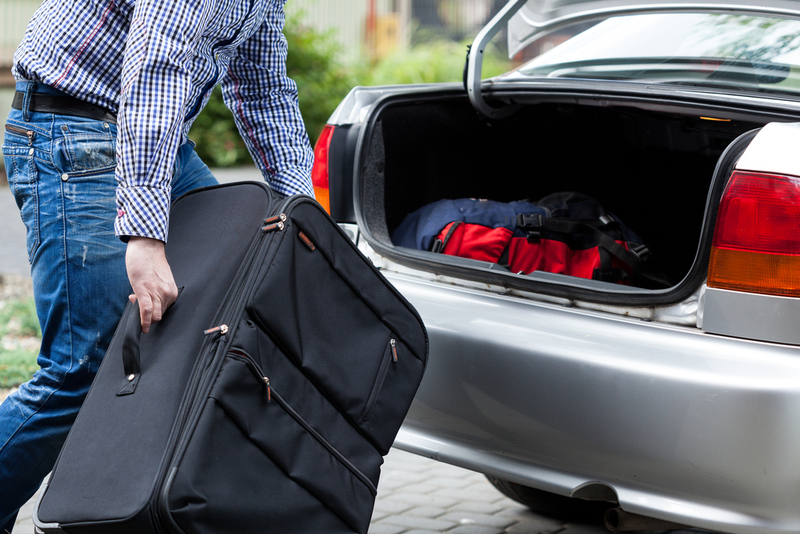 As legitimate as some of these considerations are, remember that your first and greatest priority is your personal safety and that of your family. Putting your life on the line for the sake of your home and belongings isn’t worth it if your actions result in injury or death. Also, remaining in a high-risk area during a storm can lead to you needing emergency rescue services; in such a case, you’re now endangering the life of the rescuer in addition to yours and your family’s. You live in a tall building. The fast winds of a tropical storm or hurricane make tall, multi-floor buildings sway. If you’re in a high rise, it’s best to get out rather than place yourself in jeopardy. You live in an area prone to storm surge. Storm surge is a rise in water levels above that of the regular tides, and it’s directly caused by a storm. Storm surge was responsible for 1500 deaths during Hurricane Katrina. Research your property and area to determine the threat of waves and flooding. Your live in a mobile home. As nice as mobile homes are, they’re not the safest structure for emergency situations, especially tropical storms and hurricanes. The strong winds alone can blow your home over and the storm surge can drag it out to sea. Make plans to evacuate if you’re in a mobile home. You receive an evacuation order from the local authorities. 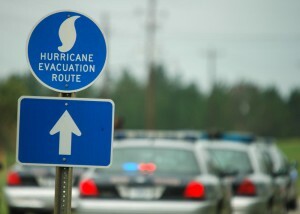 If the government and appropriate agencies issue an evacuation order in your area, pack up and get moving. They know what’s coming and what will happen if you stay. You’re a Medically Dependent Consumer of Electricity (MDC). If your health condition requires the use of electrically-powered equipment (ventilators, oxygen concentrators, ventricular assistance devices) or appliances (for instance, a microwave for heating fluids), you should strongly consider the viability of evacuation. Should you decide to shelter in place, keep in mind that you become more vulnerable the longer power is out. Many local governments administer programs designed to keep track of and offer help to people in such situations. See the Broward County Vulnerable Population Registry for an example. Try leaving in the early hours when traffic is low. If you meet the criteria for evacuation, take every measure possible to make it happen. As mentioned above, no consideration is more important than your life and safety. If money for a hotel out of town is an issue, try calling in favors. Find someone at whose place you can crash or who can lend you the funds for lodging. You surely have distant family or friends who are understanding and more than willing to help in such an urgent situation. If you have no one to help you out, you can find a shelter and wade the storm out in a safe location green-lighted by the government. Residents of Broward County can find local shelters here. For the rest of Florida, check out this shelter index. If you live anywhere else in the US, you can use the Red Cross’s Shelter Search. If you can, leave at a time when there’s not much traffic on the road, like between midnight and 4:00am. Before you leave, be sure to your home is protected against the storm (and possible looters) as much as possible. More on that below. Since we’ve already established when you should be evacuating, I’m going to assume that if you’re staying, it’s because you actually have a high probability of surviving without injury or ailment. First, it’s time to stock up. Hopefully you’ve already assembled a viable emergency food and utility supply throughout the year. Waiting until the day before the storm guarantees long lines, scarcity, and probable unavailability of many of the things you’ll need. 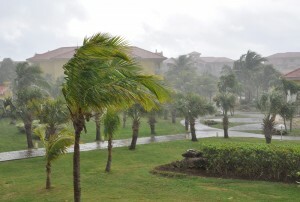 Withdraw cash to use during a tropical storm or hurricane, since electronic pay methods may be out of order. And, naturally, there’s the matter of food. No hurricane supply is complete without adequate food and water. You’ll want coolers to store your victuals. Devote one to water and one to food. Also, it’s wise to invest in a camping-style range that you can hook up to a propane tank and use to cook in the event power and public gas are cut (which is most likely during a major storm). Water is perhaps the single most important item you should stock up on. You need ample drinking water because your body can’t go more than a few days without it. And non-drinkable water for bathing, flushing the toilet, and similar activities will make the uncomfortable situation a bit more bearable. If you find yourself short on water, there are ways to get it. One method is to heat a large pot of undrinkable water and capture the vapor with a rag, towel, or garbage bag. The water captured is drinkable. Similarly, you can build a solar still that captures water by means of a tarp. Learn more about doing that here. Also, if you happen to have a water heater that stores water in a tank, you can use it to get up to 60 gallons of clean drinking water during a storm. Follow the instructions here (note: this technique doesn’t work with tankless water heaters). Board up your windows to prevent water and dangerous flying objects (as well as looters) from getting in. Now it’s time to set up your home defense. 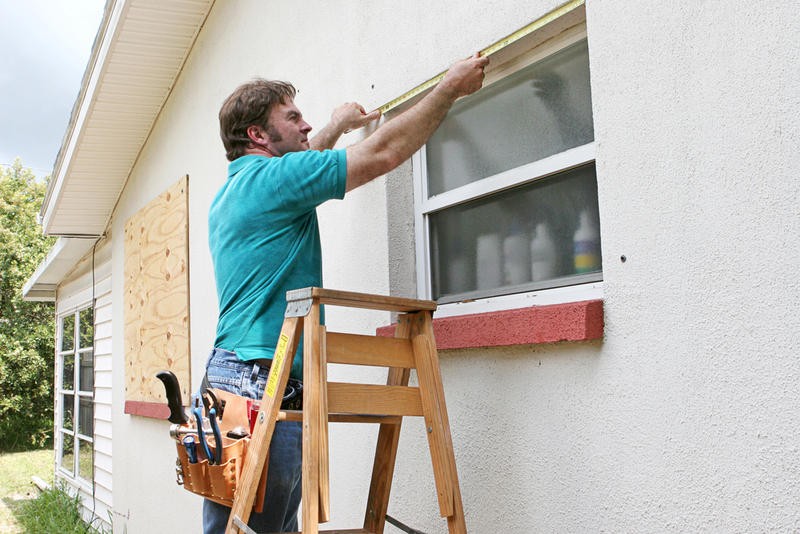 Take the following steps to strengthen your home against a Tropical Storm. Make sure to select a room that’s centrally located and preferably without windows as your place to wait out the storm. 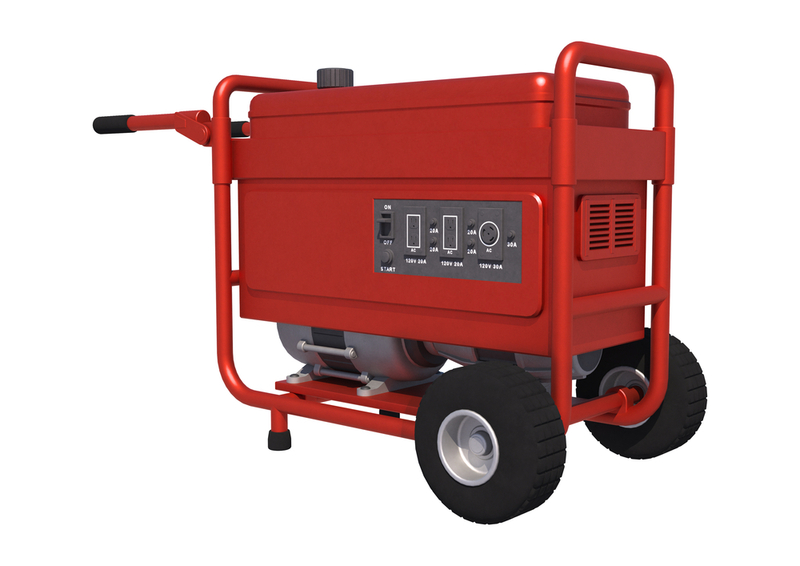 A generator can make life a lot easier when the power goes out. Buying a generator is a good idea. Depending on the severity of the storm, you may be without power for days. A generator can help you be more comfortable. Purchase 5-gallon gas cans and fill them up so that you have enough to run your generator. Check to be sure it’s working prior to the storm so that you don’t have an unpleasant surprise when you really need to use it. If you don’t have a generator and can’t acquire one in time, try a more affordable DC to AC converter for your car, which you can use to power appliances in your home. Just don’t do it when the car is in the garage, since the fumes are poisonous. Like wise, keep the generator away from the windows to prevent carbon monoxide from entering your home. Always remember to exercise maximum safety when storing gasoline. 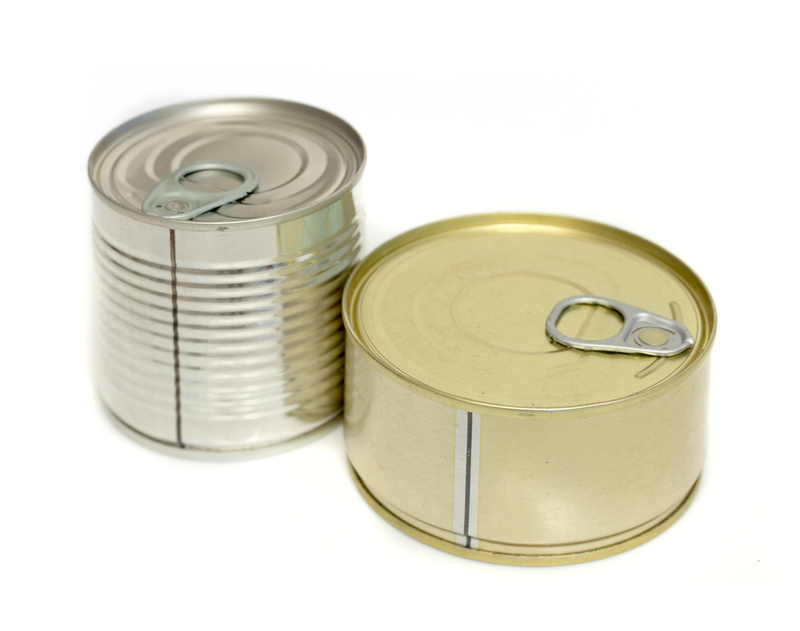 Use tightly sealed containers and keep the gasoline in a shed, garage, or other place apart from where you live. Learn more about proper gasoline storage and handling here. With duct tape, tape the panes of glass (windows, sliding doors) and then put a barrier like blankets or furniture between the glass and the room. Don’t risk going outside in the hours or first few days following a storm. You don’t want to draw unwanted attention to yourself from possible criminals. Don’t light candles or use flames in general during the storm, as they can blow over and cause a fire. When a storm arrives, you want to take every step necessary to care for your pets. They’re part of the family, after all. 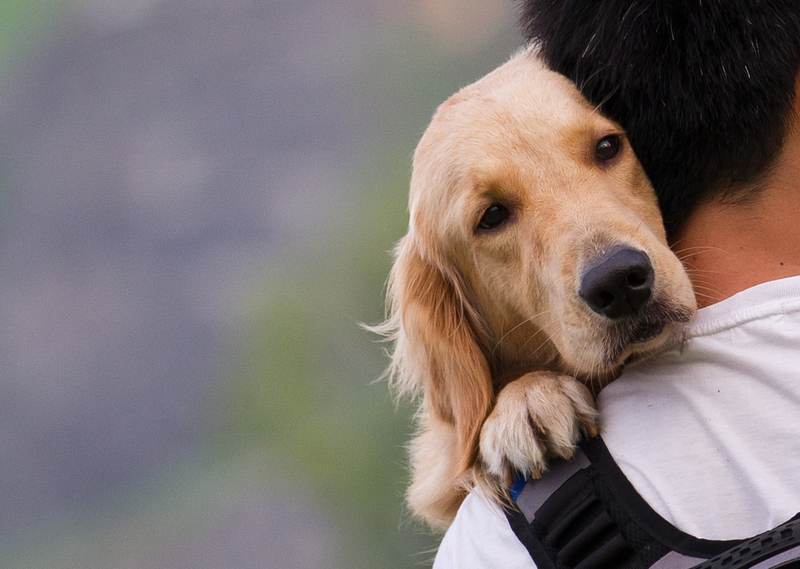 If your plan involves evacuating, remember that emergency shelters normally don’t allow animals. This means you need to make arrangements for your pet with a veterinarian, pet motel, or family friend outside the evacuation area. Pets are part of the family. Whatever you do, DON’T leave them behind during a storm! 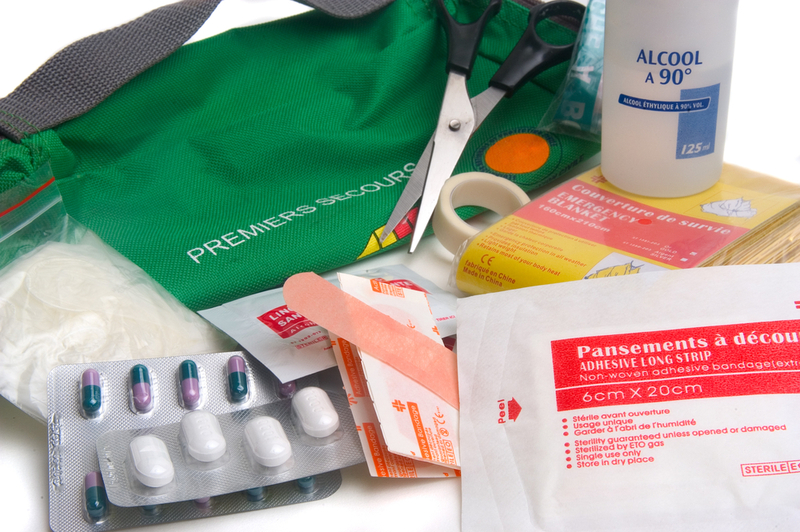 Assemble the following items: pet food, drinkable water, waste pan/litter box, animal first aid kit, medications, eating tray, and all veterinary records. Take these with you if you evacuate with your animal, or keep them in a safe, water-proof place if you ride the storm out at home. In the event you stay at home, be sure to tie your pet up in a safe location during the storm. The last thing you want is for him to wander out to a dangerous area, something that could endanger your life as well. 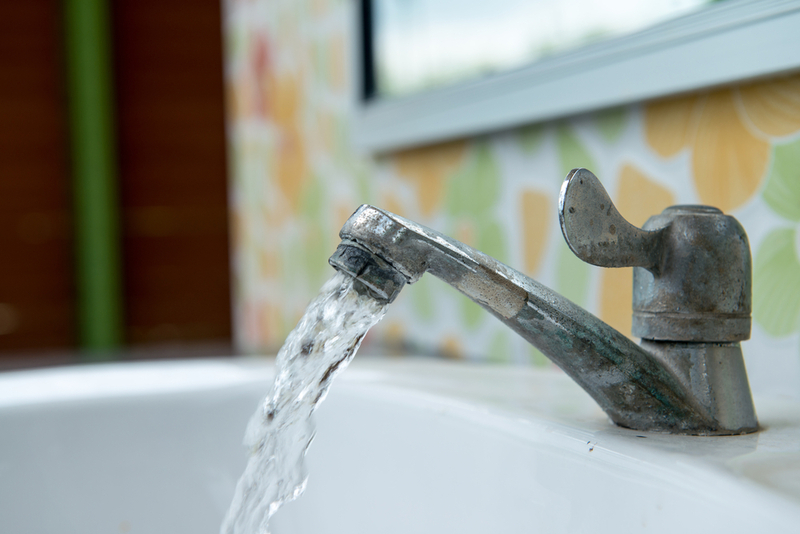 As soon as the storm hits, treat any water coming out of your faucets as contaminated, since water treatment plants may be damaged or closed. Purify by boiling and/or using chlorine bleach. If you don’t have enough water to flush your toilets, don’t flush (unless you want foul odors in your home!). Instead, line-up a garbage bag to the toilet to collect waste. Collect water in your bathtub before-hand for use in flushing and bathing. Place barricades against your entrance-ways to stop intruders. After the storm, one of the biggest threats you face is desperate people acting dangerously, as well as delinquents who take advantage of the situation. Post-storm, be sure to treat all water before consuming or using it to bathe, wash, clean, or cook. Proper preparation is vital in the hours preceding a storm. It can mean the difference between life and death. 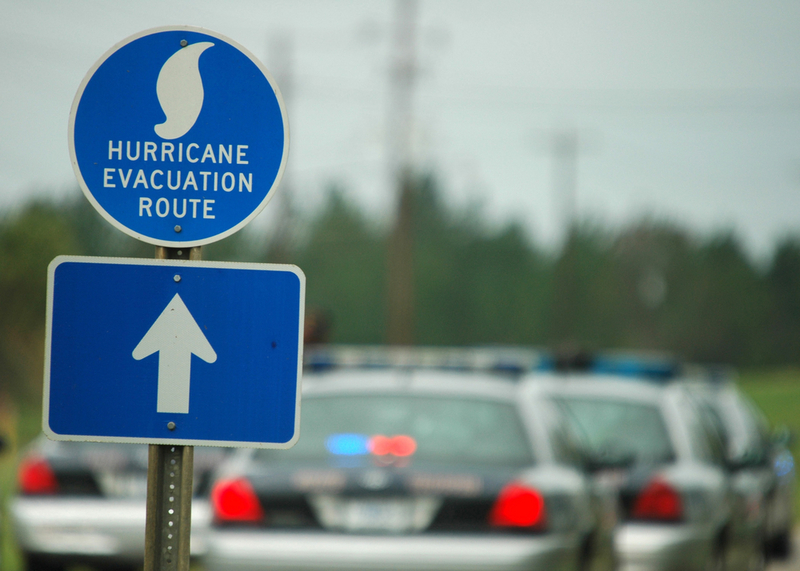 Review these steps carefully and use other available resources from trusted community organizations in preparation for hurricanes and tropical storms. For guidance setting up a hurricane plan for your family or business, check out Ready.Gov and use their templates (such as this Family Emergency Contact Sheet). Share the post "The Day Before: Detailed Guide to Prepare for a Storm Now"
Nothing beats living in sunny Delray Beach, Fl. The beach is close, the weather isgreat, and there’s a great culture made up of thriving businesses and bustling entertainment. 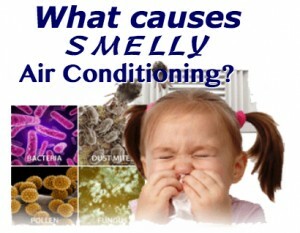 But if you live in Delray Beach, air conditioning in your home is a must—as with any city in South Florida. It’s funny, but AC is one of those things that we sometimes take for granted. It has a vast influence on our lives for good, but we often don’t stop to think much about it—until it stops working that is! However, there are some things you need to know as a person living in the hot and humid state of Florida with an interest in staying cool and comfortable when temperatures are high. This quick guide breaks down, in short and digestable terms, exactly what you should know about Delray Beach air conditioning. 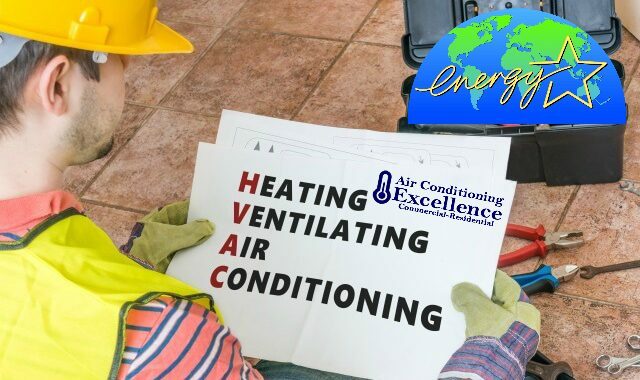 HVAC stands for Heating, Ventilating, and Air Conditioning. It not only encompasses your air conditioner and heater, but the systems that remove impure air from your home (ventilation). Read more. 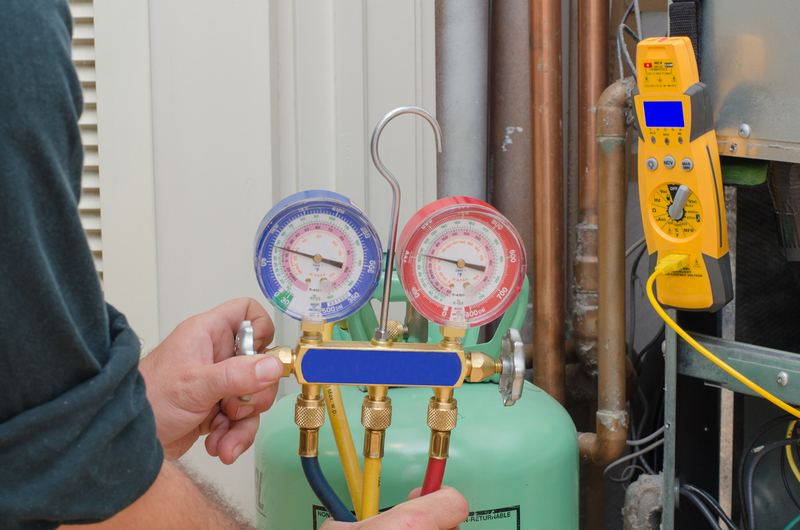 Delray Beach Air Conditioning, as with AC in general, works by moving refrigerant in a cycle throughout the AC components in a process that repeatedly changes its state between liquid and gas. This process extracts the heat from your home’s air, bringing the temperature down according to your thermostat settings. Learn more. What are the Main Parts of my Air Conditioner? Compresor: Works to change refrigerant from gas to liquid. Sends it to the evaporator. Evaporator: So-called because the refrigerant evaporates here, causing cool indoor air. 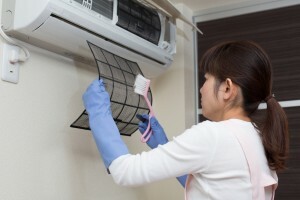 Condenser: Aids in the transfer of heat throughout the AC system. Filter: Gets rid of debris in air stream to keep your indoor air and AC system clean. Ducts: Deliver the air throughout your home. 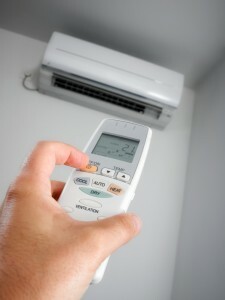 Find out more here about the components of your Delray Beach air conditioning system. That depends on the cooling requirements of your home, which is determined by your property size and other factors. There are various unit sizes available in Delray Beach. Air conditioning units are classified by tons. “Ton” in this case doesn’t refer to the unit of measurement for weight, but rather to the amount of hear they can remove in an hour. 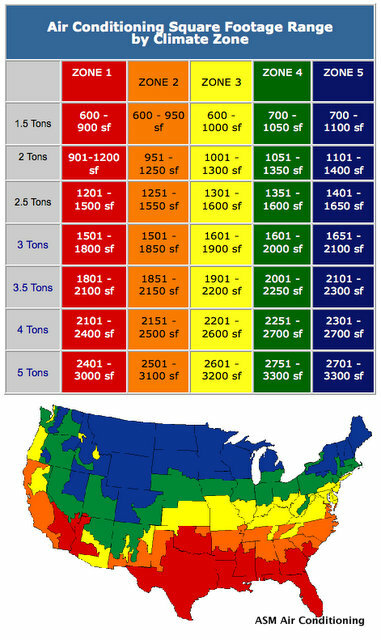 A one-ton unit can get rid of 12,000 British Thermal Units in one hour. A two-ton unit removes 24,000 BTOs per hour, and so on. Homes typically require units of one-to-five tons. Units above six tons are normally used for commercial purposes. The number of people who live in a home, the size of your home, the geographic location, and the number of windows you have are all some of the factors that determine the appropriate AC unit size. Delray Beach air conditioning contractors use an in-depth calculation called a Manual-J calculation. They often use specialized software for this purpose. 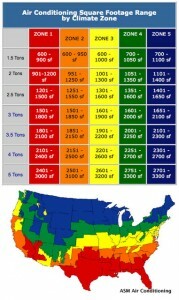 You can get a general idea of the right size for your AC unit using the following graphic. Read the full article here. Nevertheless, do not make a purchasing decision without having a profesional air conditioning company perform a Manual-J calculation for you. How do I Prepare my AC Unit for a Hurricane? Hurricane preparation is simply part of life for residents of Delray Beach. Air conditioning practices should be adapted to local weather needs. Wait, don’t turn your unit back on immediately post-storm! Take a look at our Youtube Channel for more hurricane tips. How do I Choose a Delray Beach Air Conditioning Contractor? Look for companies certified by organizations like the ACCA and SMACNA. For more help choosing a trustworthy Delray Beach air conditioning contractor, check out this article. 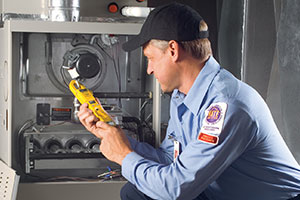 What Maintenance Does my AC Unit Need? If you’re Delray Beach air conditioning is giving you a headache, you probably want to know whether you’d be better of repairing or replacing. Read our guide on how to know when to replace. 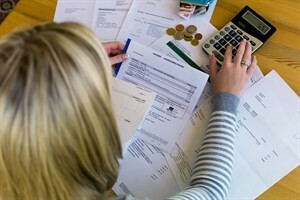 How do I Keep my Electricity Bill Down? 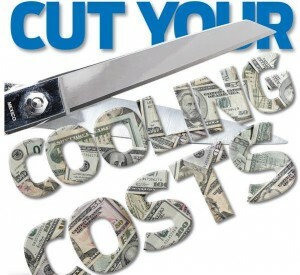 Find out more about how to reduce the cost of air conditioning here. Now that you have that information at your fingertips, you’re much better armed to make important decisions with respect to Delray Beach air conditioning. Have questions? Feel free to share in the comments below! Share the post "The Easy Guide to Delray Beach Air Conditioning: 8 Things You Need to Know"
Living in the sunny state of Florida is like a two-edged sword. We enjoy a temperate climate; have easy access to the most beautiful beaches in the country (as a matter-of-fact, Floridians anywhere in the state are never more than 45 minutes away from the beach); and can boast a diverse, thriving economy. However, the same warm weather we love so much can get really overbearing. High humidity and average yearly temperatures of 82°F make air conditioning man’s second best friend for most South Floridians. Thus, it’s no wonder that our energy bills are some of the highest in the nation. The average household in the state of Florida pays a whopping $121.00 every single month to keep the electricity running. Home air conditioning cost plays a big part of those hefty bills. But you don’t have to settle for that huge financial strain. Just think what you could do if you could save a fourth or even a third of that money a year. Invest? Treat yourself to something nice? To say goodbye to an exorbitant bill, here are six surefire ways to significantly reduce the cost of air conditioning in your home today. One of the easiest ways to level the central air conditioning cost of your home is to use your thermostat wisely. A lot of people don’t change their thermostat settings when they’re away from home. By keeping your living space cool (or warm, if we’re talking winter-time) when no one’s even home, you’re spending needlessly. Yeah, it’s nice to come to come home to a well-cooled house after a long day out and about in the heat, but the luxury is costing you hundreds of dollars over a lifetime. So here’s what you do. Set the thermostat to four degrees warmer when you’re not home. That’s it. This simple trick can save you as much as 5 to 20 percent on your electricity bill! Hey, that thing hanging from your ceiling is more than a nice decoration! It’s a great device for keeping your home’s air condition cost at a reasonable level. Interestingly, fans don’t cool your space. What they do is circulate the air. So why does that make the heat subside? Well, remember that hot matter rises while cold matter sinks. All you need to do get rid of the hot air is move it up and out. 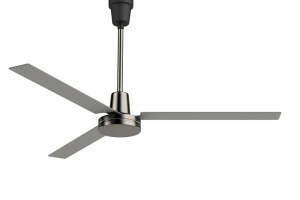 To do this, simply spin your fan counter-clockwise. 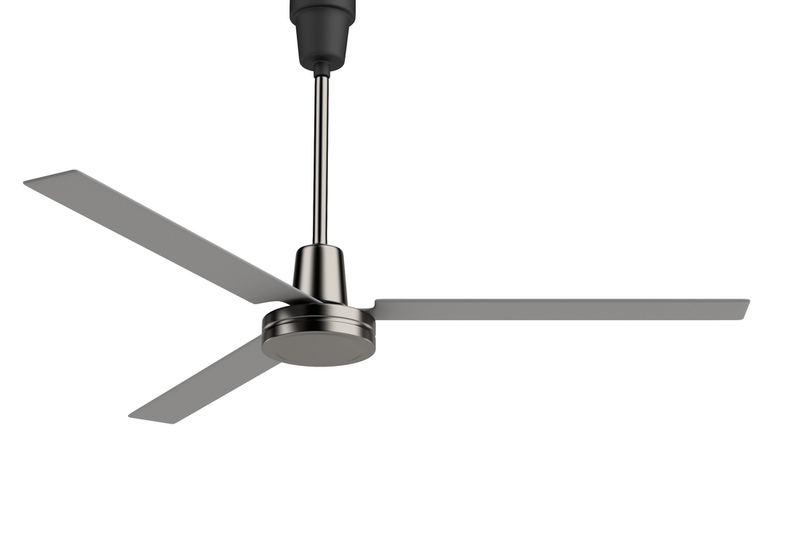 If you don’t have a ceiling fan, you can also use standing fans throughout the house to achieve the same movement of air. By so doing, you can raise the thermostat setting by 4°F without sacrificing any comfort whatsoever. Hey, remember that sunlight carries heat with it. If you block out potent solar rays, you can effectively cool your home naturally and thereby lower the cost of air conditioning. There are different ways to do this. If you’re a homeowner, cultivate flora to keep the light out. Planting trees, vine, and the like are easy, low-cost solutions to reducing your home’s exposure to the sun. If you rent, or if planting trees isn’t an option, you can buy shades or blinds for your windows. Although the sun will still be hitting your house, at least you’ll cut down on the amount that gets into the interior of your home. One of the biggest contributors to an inefficient HVAC system and a high central air conditioning cost is having dirty air conditioning filters. When your filters are dirty, airflow is obstructed and the evaporator coil’s heat-absorbing capacity is impaired. It’s important to tend to them at least on a monthly basis. Some coils can be cleaned while others need to be replaced. You can either hire help or do it yourself without too much difficulty. Cracks, leaks, and splits in your home’s ductwork can account for as much as 40 percent of lost air. This is especially true in older homes. Because detecting and sealing leaks is a pretty intensive process, you may want to seek an HVAC expert to help you get the job done and stabilize the cost of air conditioning in your home. If it comes down to it and you’re fighting to keep alive an AC unit that’s nearly keeling over, it may be time to buy a new air conditioner. You’ll have to spend some money to make the purchase, but in the long-term you’ll save as much as 50 percent on your home’s central air conditioning cost. Plus, there are all kinds of financing options available that fit your budget. 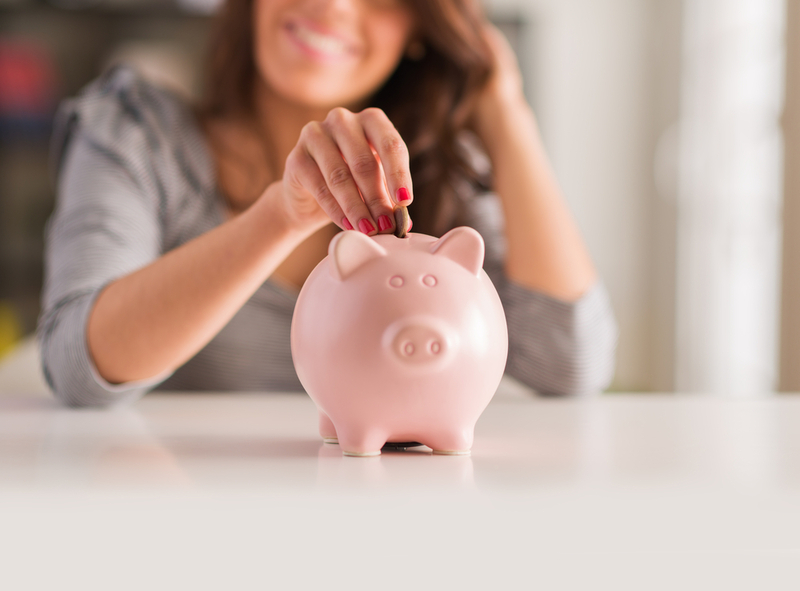 There’s no secret to cutting down on the cost of air conditioning. With a few simple modifications, you can save big on your electricity bill while still enjoying the comfort of a cool home. 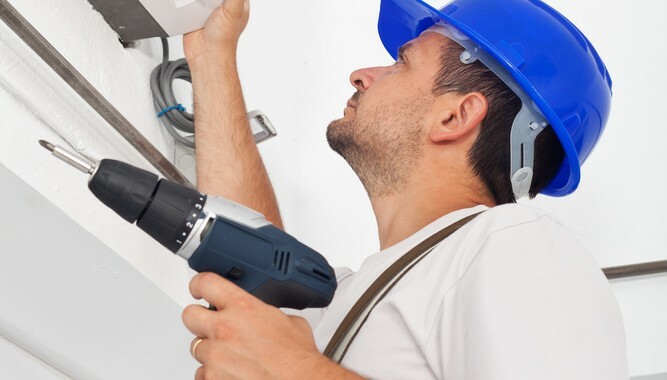 If you need help with services like duct maintenance, filter replacement, or unit installation, you can contact us to get the job done at low prices.